In 1996, Karen Visser started a small home-based interior decorating business. Ten years later she opened in Crestwood Mall and renamed the business Bella Casa Design Centre. Karen’s love for fine things prompted her to expand the business to include the finest bed linens and the most amazing kitchen accessories. Today, Bella Casa Design Centre has truly become a family business. Her daughter Elysia has taken over the interior decorating, and husband Howard has joined in to run the on-line operations for the company. With their design expertise in decorating, bedding, and kitchenware, they have been helping clients from across Western Canada create fabulous and spectacular looks for their homes and recreational properties. 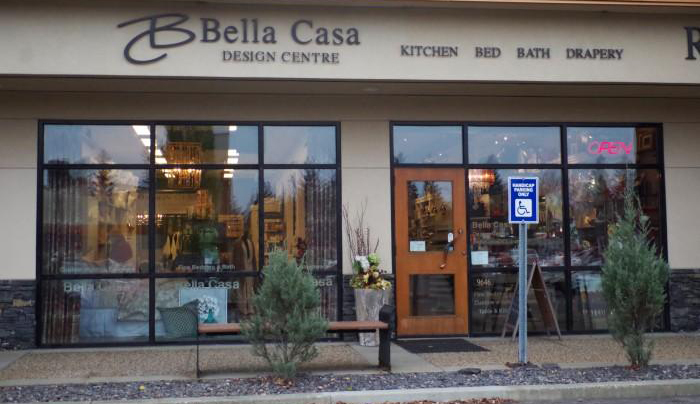 Stop by and visit Bella Casa Design Centre at 9646 – 142 Street in Edmonton or have fun shopping online. If you're in the Edmonton area, you can also visit us at 9646 142nd street.